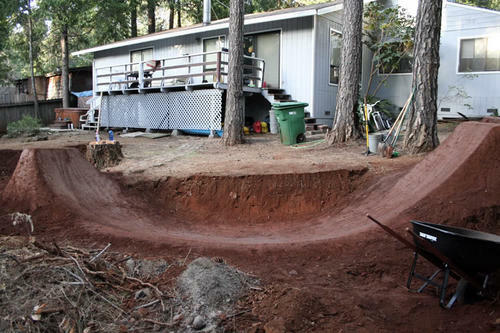 Discussion in 'BMX & Dirt Jumping' started by Zach Dank, Nov 3, 2008. 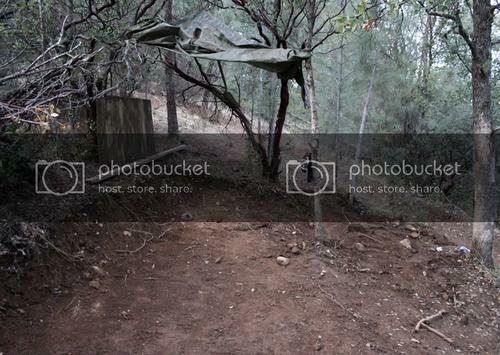 This is where i'm gonna post what me and my homies are digging on all winter. No riding shots, just digging progress. We got a lot of spots to dig at this season, so this thread should be the goods. 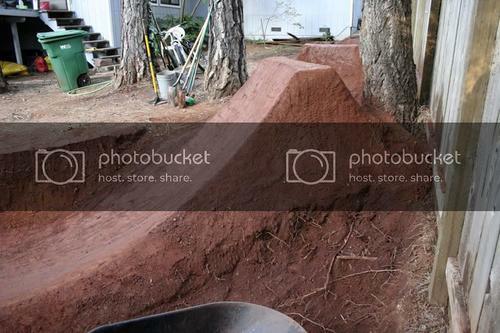 I'll post pics when ever we throw dirt, wich is a lot. 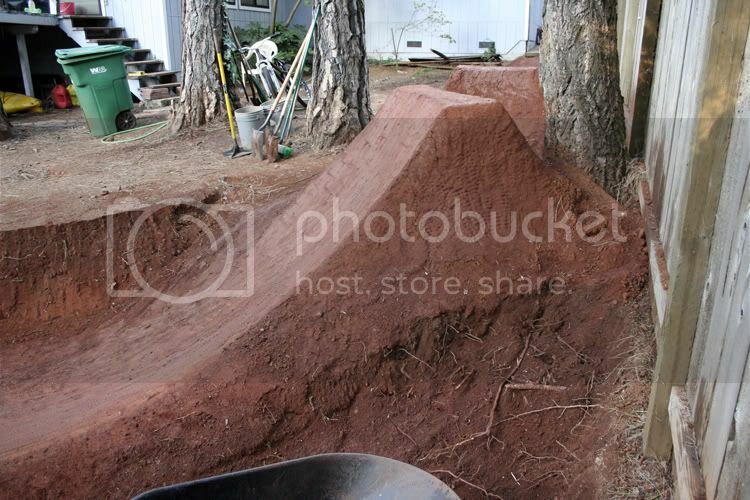 First, me and my neighbor decided to combine yards to make a sick Backyard setup. 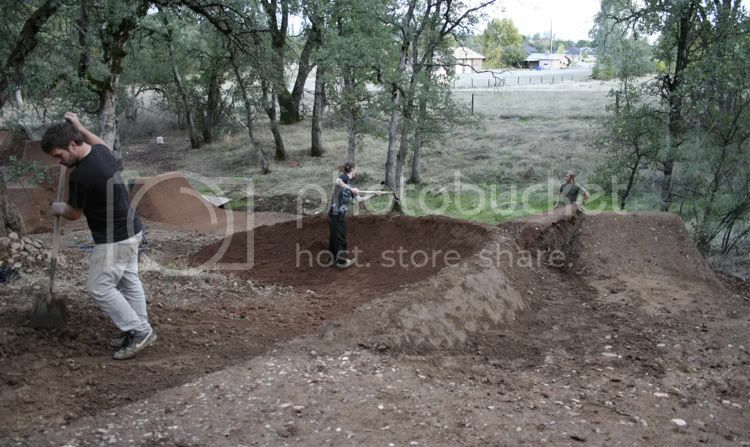 It's gonna be a pumptrack/jumptrack. Gonna either pull out a section of fence, or make a dub to gap over the fence to combine the 2 yards. Here is what we have so far. Only a hand full of days of digging went into this. It will be nuts when i'm done. Nice work. I wish I had better dirt at my house. 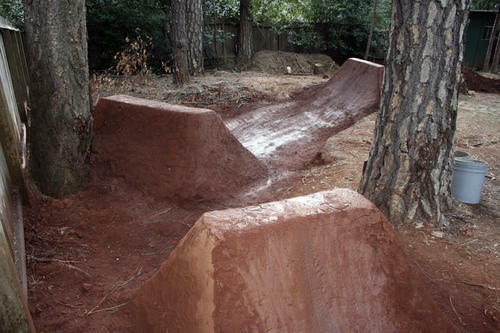 Zach, when I have a back yard, can you come turn it into something like that? 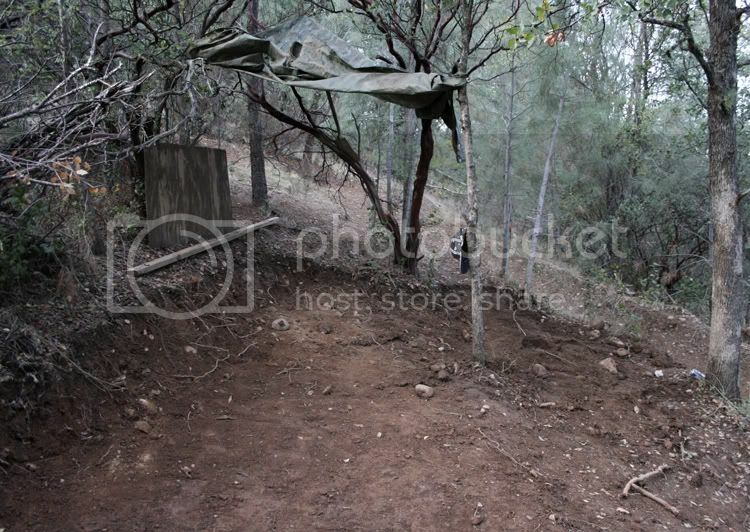 Yeah, i live deep in the woods outside Magalia. It's the sickness. 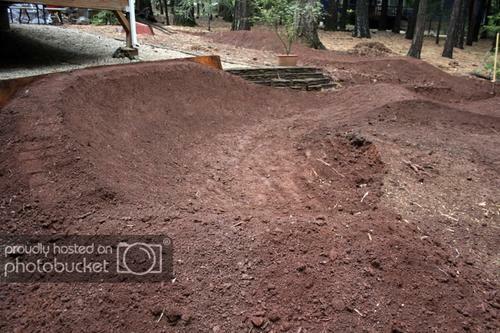 You should come up here and ride my mini trails when they are done. you have great dirt zach, ours here in PA is pretty damn good but not as pretty. Yeah, i can't complain about the dirt back there. It's real good. Not a lot of rocks, just epic red clay. Don't worry, i spend plenty of time digging in rock gardens. 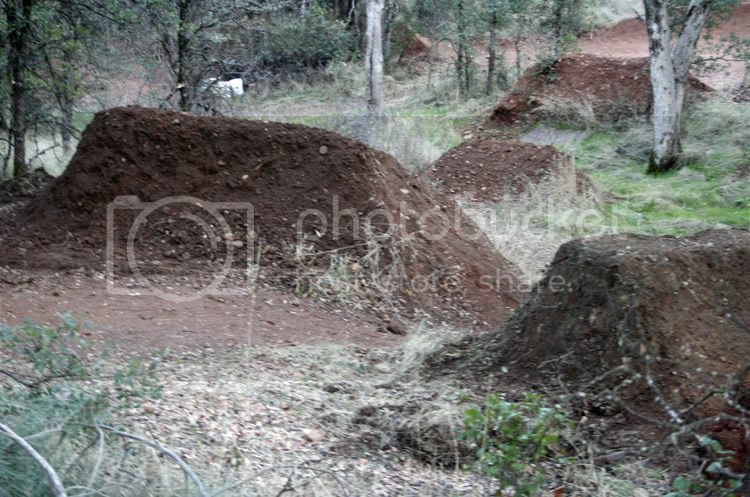 I'll be digging all day tomorrow in the ****ty dirt out at Secret. 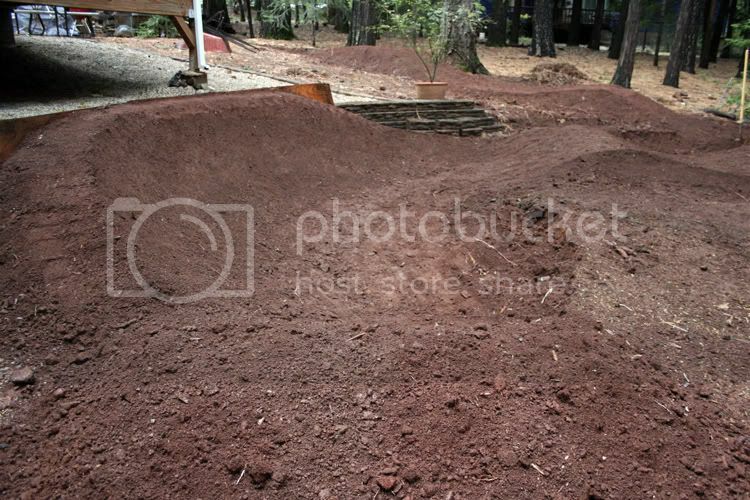 There are 2 kinds of dirt at Secret, the upper level, and the lower level. The lower level is so good, and the upper blows as$. We are building on the uper level now. When you have an opportunity to jump OVER a fence, why is there any question? Looks sick man. That dirt looks familiar too. Keep the fence for added Hell Track flavor. are you fvcking kidding me with all the ads in this thread? That backyard is epic, nice work! 1. Is this all done by hand? 2. How many diggers help you out? You should come up here and ride my mini trails when they are done. 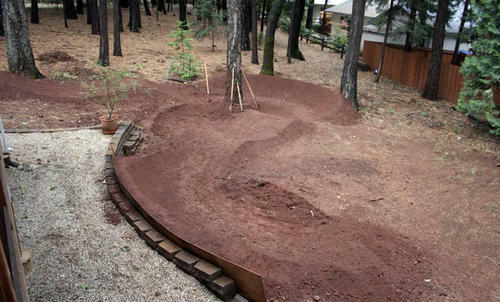 Yeah, it's all done by hand, except for the new spot, that had a ton of tracktor work. I dig with Aaron Day, Clint Chandler, Norcal Chad, Kidwoo, Chris Singer. That's about it for Norcal. I will be digging a lot in SoCal this winter, with a ripping crew of shovels. Chris, Magalia is way sicker than Chico. Ben, wait til i dig for another few weeks. $hit will be way tech, and tight. Fence jump is def sounding like the best option right now. 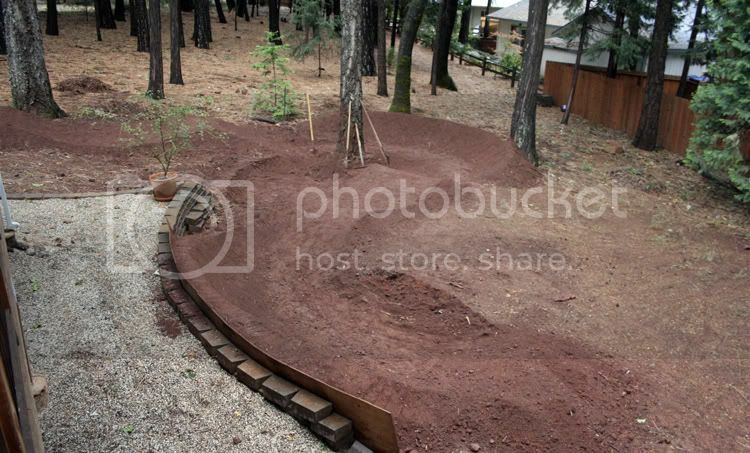 With the attention to detail that your trails seem to always have, making the most of the existing features, I am doubtful that you were really thinking about removing the fence. Keeping the fence in play just makes for so many options. 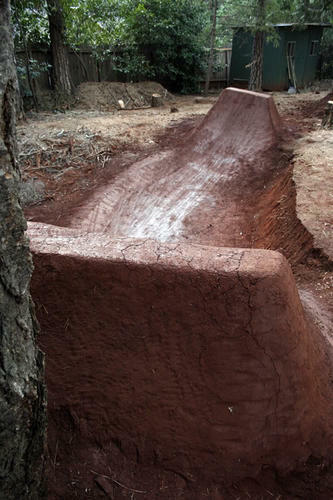 A fence spine, berm that goes vert at the fence, and fence gap of death all come to mind. I love the knuckle prints on the back of the hip landing. I never have the patience to make all sides of a lip/landing look nice but your stuff is motivating me to make more of an effort. Nice backyard setup. As always, the stuff is looking great. There is a lot of extra work that you guys do that some people may not notice but it's awesome to see the fine tuning and all the small extras you guys do. Always puts a smile on my face and gives some extra motivation for my spot. I voted for fence gap today. did you move there because of the dirt... that clay looks amazing. I hadn't considered that. You are right on that one. Since we are all living vicariously through this project, what about a step-up over it, just to increase the manly factor? good idea. just keep some nails, and wood to patch up the fence every time someone busts through. We threw down hard today. We should have the first half of the new line done by the end of the week. Digging that new line! Just wanted to know if you are connecting it up with the orignal line or going elsewhere? Yeah, there is no meth in Chico, or frat boy wanabe douche nozzles. Down there any DJ's that get built, get vandalised by 50's and ghetto rats. You still got your 20"? Come up and ride. I have a winter spot....WAY too sandy for summer riding. I see what you mean about the dirt in the upper area. For reals. $hit is stupid fast. 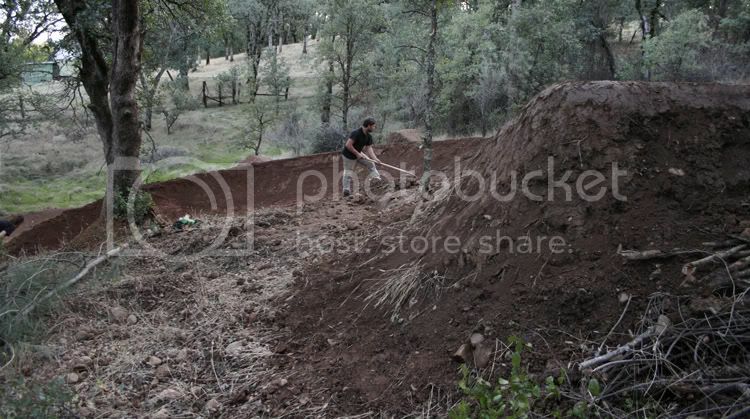 The lip out of that downhill burm will be over 6 feet high, and steep as hell, to an 18 foot gap to the landing. It has to be that way to combat the insane amount of speed you have after the burm.